Superman receives the reboot treatment. Due to an abuse of the planet's resources, the far off world of Krypton is on the verge of destruction. Jor-El (Crowe) and his wife Lara (Zurer) save their newborn son, (the planet's first natural birth), by launching him towards a distant planet in a pod, just before General Zod (Shannon) attempts a failed coup. Zod and his rebels are cast into space just before the planet explodes. 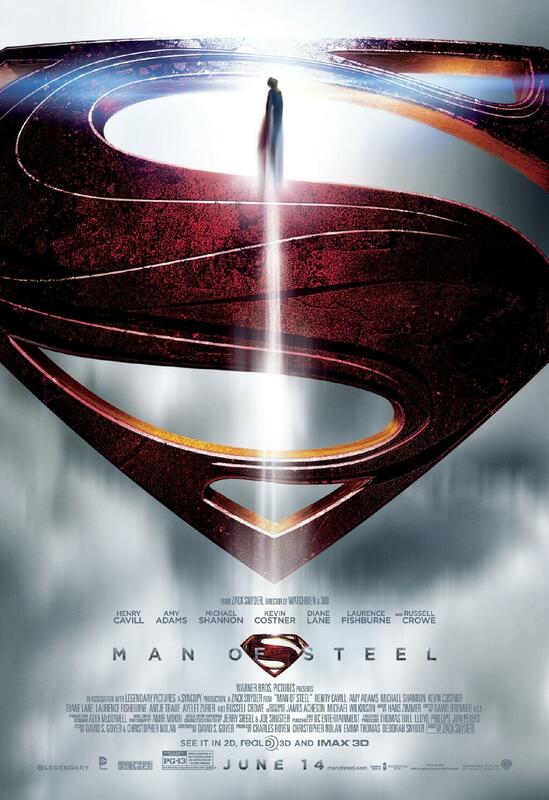 The child, Kal-El, crashes in Kansas where he is adopted by Jonathan (Costner) and Martha Kent (Lane). As he grows, it becomes apparent the child, now named Clark, posseses a range of unique powers, which he struggles to control. As an adult, Clark (Cavill) sets off towards the North Pole to seek answers, but Lois Lane (Adams), a reporter for The Daily Planet, begins to smell a story, jeopardizing his secret identity. With the superhero movie now the default setting for unimaginative Hollywood bean-counters, it was inevitable that the most famous hero of them all would fly across our screens once again. The problem, of course, is that, as recently as 2006, Bryan Singer attempted to reboot the Superman franchise and was (unfairly) met with derision. 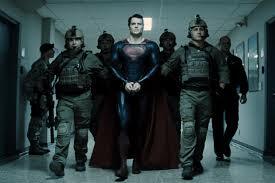 Audiences recoiled from Singer's vision, essentially a homage to Richard Donner's two Superman movies. The success of Christopher Nolan's Batman reinvention told us that the modern cinema-goer had become cynical, willing only to accept brooding, "dark" superheroes. But then, to serve as contradiction, came 'The Avengers', which couldn't be further away from the dark tone of Nolan's films. Hollywood now seems confused as to how to portray superheroes, and this dilemma is all too evident in Snyder's reboot. 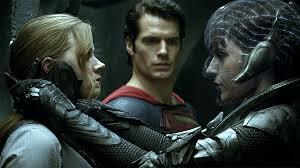 The opening, set on Krypton, is high camp, reminiscent of eighties sci-fi flops like 'Dune' and 'Flash Gordon'. This, of course, isn't a bad thing. When the story hits Earth, however, Clark Kent is portrayed as an angry young man. This first hour is actually the film's highpoint however, cleverly utilizing a flashback structure to avoid the monotony of retreading an old story we're all familiar with. The scenes involving Clark and the Kents have a genuine sweetness to them, and remind us why Costner really needs to make more movies. Of course, to achieve the "darker" tone, Kansas is constantly covered in a grey mist; gone is the Norman Rockwell sun-glow of Donner and Singer's films. Everything falls apart as soon as Kal-El actually becomes Superman. Those involved seem somewhat embarrassed by the character, in fact the name "Superman" is only mentioned once, and as an "ironic" joke. Gone are the character building vignettes of Supey saving cats from trees or melting muggers pistols with his heat-rays. Instead it's straight into the action, a bum and brain achingly long sequence which resembles one of those SyFy channel disaster movies, all bad dialogue and even worse CG. We're left watching characters we haven't become invested in wrestle through a serious of video game set-pieces.